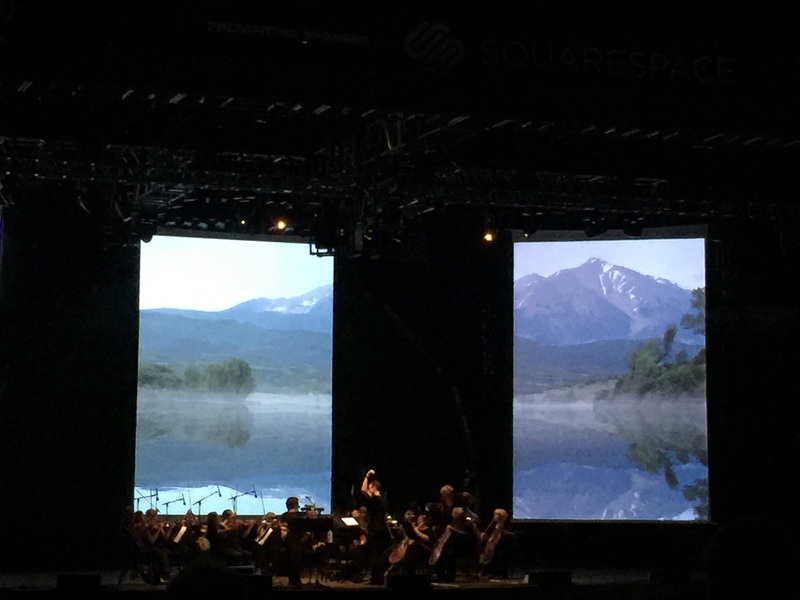 I almost did not attend the world premiere of Clifford Ross’s collaboration with The Orchestra of St. Luke’s at Celebrate Brooklyn last night due to the threat of bad weather. I rallied, though, and I am so glad I did. The Musical World of Harmonium Mountain was mesmerizing — but mainly because of the music. I am a big fan of The Orchestra of St. Luke’s because their repertoire spans so many styles, including new music. Last night’s selections included excerpts from Antonio Vivaldi’s The Four Seasons and John Adam’s Shaker Loops — plus works by Bryce Dessner and Wojciech Kila. The evening began with Kronos Quartet cellist Jeffrey Zeigler playing music by Philip Glass, John Zorn, and Paola Prestini. The poet Roger Bonair-Agard joined in with some of his stirring poetry. Andy Akiho was the talented composer/percussionist. 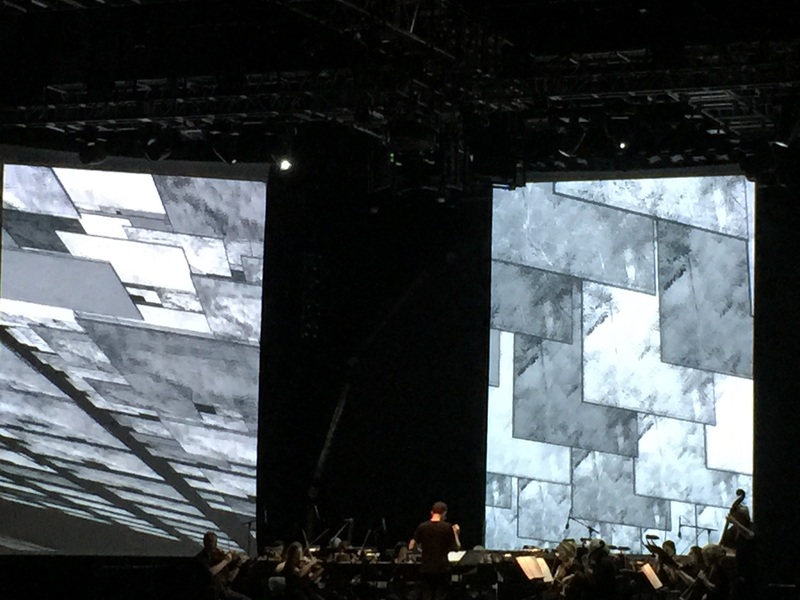 I was so sad to see that the crowds were not very big because I was in heaven hearing works by so many composers I admire. I am sure the sparse attendance was simply due to the weather, and I hope Celebrate Brooklyn continues such cutting-edge musical programming.